We shop Canada's top insurers so you don't have to! As a locally-owned independent insurance brokerage, serving clients across the Maritimes for more than 50 years, we know that each and every insurance situation is unique. We provide comprehensive insurance solutions to meet the needs of our personal and commercial clients. Our team of dedicated insurance brokers works with you to find the best coverage solution for the most unique situation – yours. For our clients, that means more choice, better value and the best protection. Caldwell Roach Insurance. Here for you. This was our third year as sponsor of the Caldwell Roach/Kings Mutual Insurance Ice Surface located at Civic Square in downtown Truro. It was a great season and the rink was enjoyed by many. 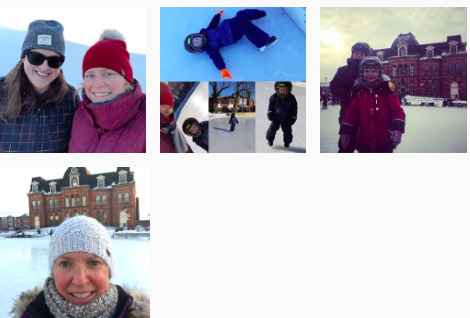 As of March 23, 2019, the rink is closed for the season. Here are some of the great photos that were chosen as winners of the #CaldwellRoach photo contest. We provide specialized insurance coverage for all types of agriculture operations located through the Maritime provinces, including coverage for dairy and beef operations, apple, blueberry and tree farms, wineries and craft breweries. Learn more. Call today! 1.888.511.0777. 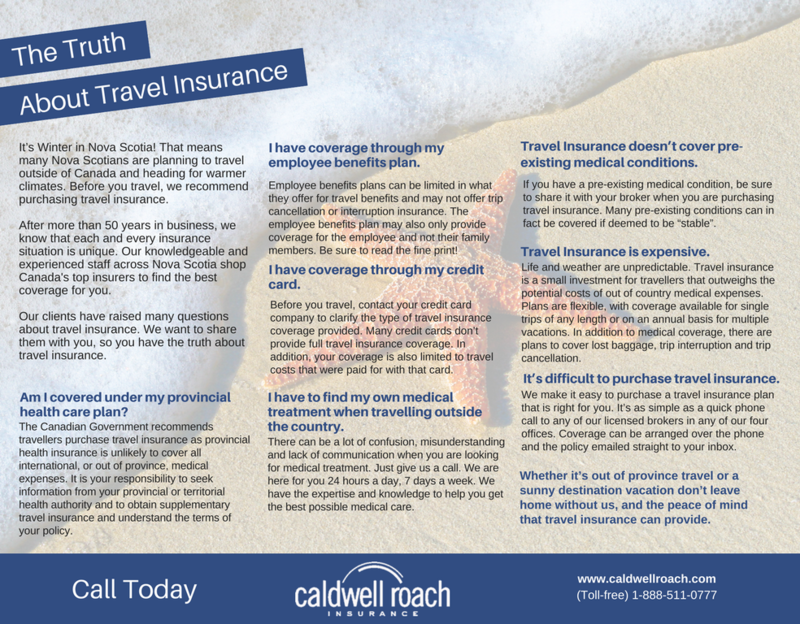 We answer your questions about travel insurance, so you can relax and enjoy your trip! Am I covered under my provincial health plan? Am I covered through my employee benefits plan? Does it cover pre-existing medical conditions?